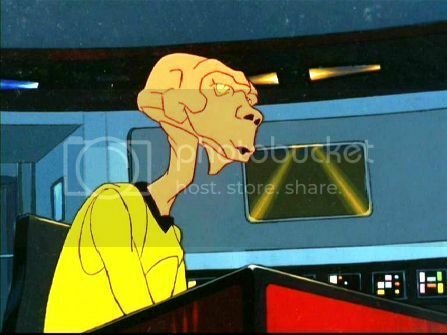 Arex never attended Starfleet Academy, but was a member of the merchant space fleet. He earned a field commission after a ship he was on was nearly captured by Klingons and the officers aboard were all killed. Eventually Arex spent two years teaching space navigation at Starfleet Academy, where he served as an instructor to Pavel Chekov. Despite being more experienced than Ilia she was already the Assistant Chief Navigator when Arex signed onto the ship in 2267 shortly before the Enterprise ended up in the year 2372 in a different quantum reality.